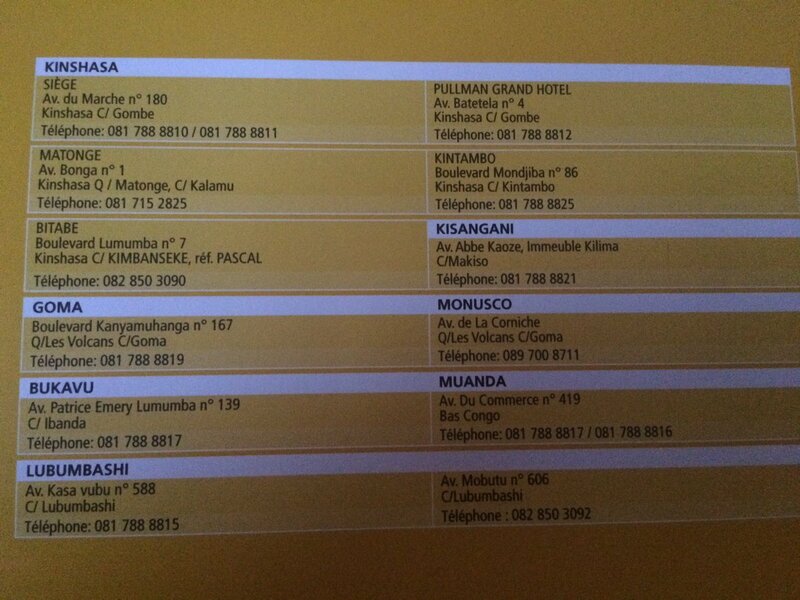 Providers include Vodacom (081.., 082…), Airtel (09…), Orange (084…, 085…), and MTN. You can buy credit from street vendors across town. Each provider also offers daily, weekly or monthly internet plans for your phone. For Airtel, you can check your credit via *565# and your number via *502#. To check your balance for Vodacom, dial *100#. The country code for DRC is +243. If you have problems with your electronic hardware (computers, cell phones, radios etc. ), pay a visit to Maison Nokia behind the post office at the BEDGL roundabout in downtown Goma. Speak to Danny (099 725 7106). Alternatively, call 099 772 7271, 099 725 7106, 00250 785 818 890, alexsafro2000@yahoo.fr. If you have problems with your Macbook, you should visit the Apple store in Kigali: Kigali City Tower, Shop # F3-F4, 1st fl. P.O. Box 2988, Kigali. Monday-Friday 9-18h, Sat 9-14h. +250 784 041 744, +250 726 158 280. Info@elitedigital.rw, aboubakar@elitedigital.rw, Sales Executive: Aboubakar Abrah Karangwa. 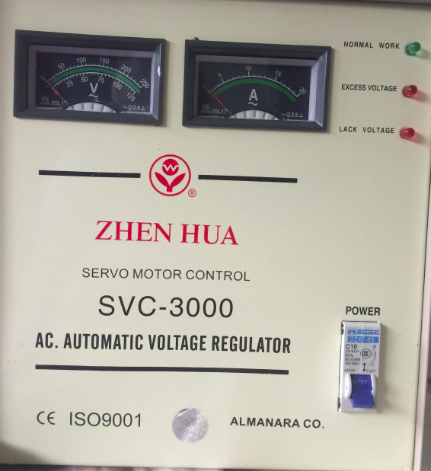 With intermittent electricity coverage and frequent outages, you should definitely get yourself a voltage regulator to protect your devices and prevent fires. The fastest and usually most reliable WiFi in the city center is at Ihusi Hotel, Caritas Hotel, and Au Bon Pain. In Himbi, internet is good at Lake Kivu Lodge and Chalet Restaurant. Tips: With intermittent access in Goma, you might want to use Webmail, Google Chrome, or Mozilla Thunderbird as your email account as these programs allow you to work on your emails offline. To share photos, docs, and videos anywhere and easily, use the free service of Dropbox . If you need to download or upload a lot of data, you should spend a day at Serena Hotel in Gisenyi. Orange sells a router for $68. Subscription packages include 3 GB for $45/month, 10 GB for $100/month, and 30 GB for $250/month. Try the internet stick from Orange for a purchasing price of $45. It is $35 for a monthly subscription. Skype and WhatsApp are awesome apps to stay in touch with folks at home. 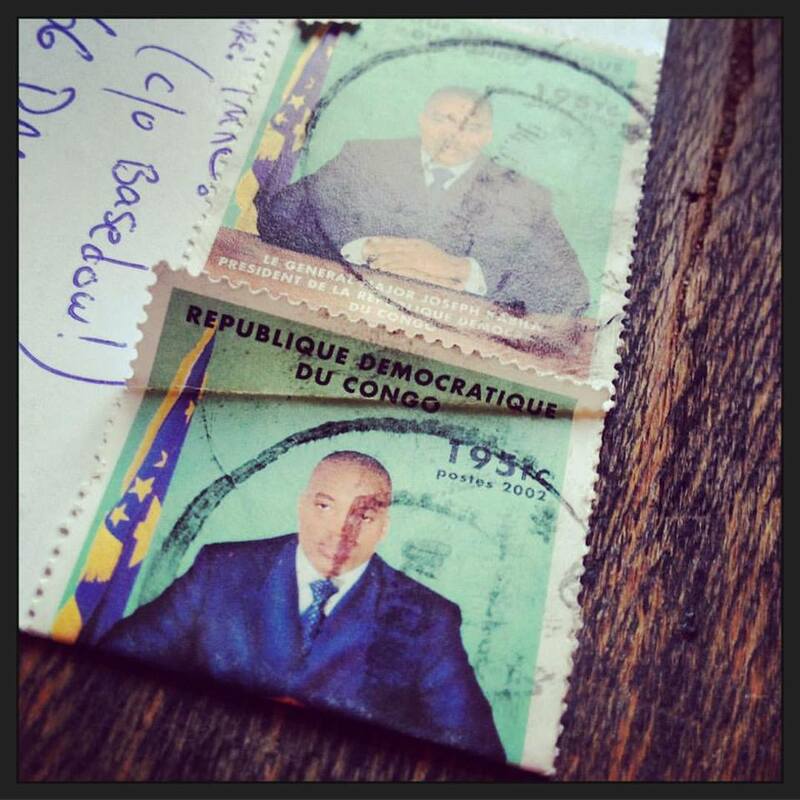 Mailing a postcard from Goma, eastern Congo. By Seán Connolly (@shanboqol) of @BradtGuides. DHL is located on Avenue Kanyamuhanga, close to EcoBank. They are available at 081 788 8819, 081 788 8810, 099 788 8810, 089 708 8810, 081 788 8810, 099 788 8810, 089 708 8810. For further information, consult DHL’s website and see flyer below. I paid $100 to ship a hard drive to Chicago. It took 4 days.